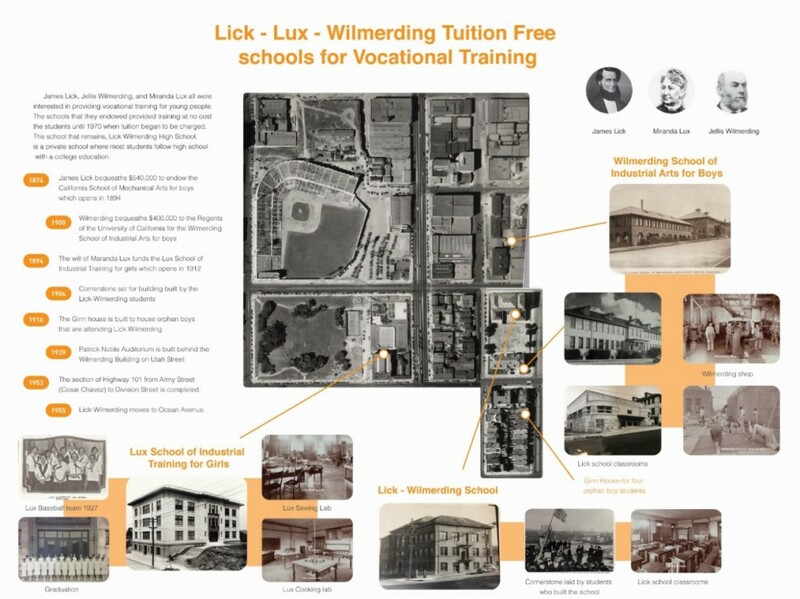 The Potrero Gateway Loop Steering Committee held a fundraiser at “The Rock”, a historic building build as a home for orphan boys in 1911. Located at the corner of Utah and Mariposa, this building oversees the Caltrans right-of way we wish to reclaim with The Loop. The fundraiser dispayed posters showing the neighborhood before the freeway was built. 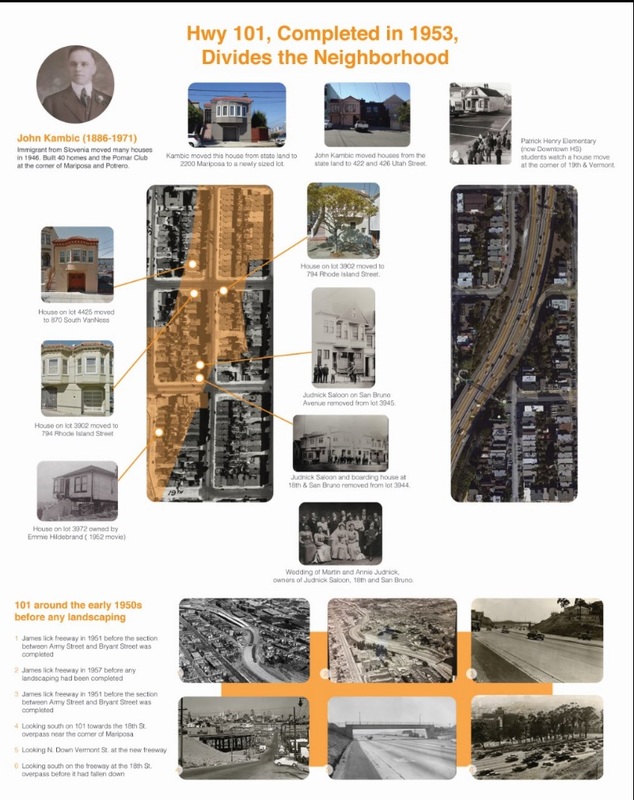 The fundraiser focused on the history of the area, the dividing of the neighborhood by the 101 freeway and the potential for connecting the neighborhood with The Loop.